New pot? No, sorry, just a dead body! Tucked away in the rolling hills of rural western Virginia lies the storybook resort of Storyton Hall, catering to book lovers who want to get away from it all. To increase her number of bookings, resort manager Jane Steward has decided to host a Murder and Mayhem week so that fans of the mystery genre can gather together for some role-playing and fantasy crime solving. Nancy Drew meets "The Librarian"
Cooper Lee is at a crossroads. Her boyfriend of five years just left her for another woman, she's living in an apartment above her parents' garage, and her job as a copier repairperson is feeling a little, well, repetitious. Hoping for a fresh start and a new outlook on life, she joins the Bible study group at Hope Street Church. The last thing she expects while studying the Bible is a lesson in murder. Holly Miller's life has gone to the dogs. She has no job, her boyfriend's former flame is sniffing around, and a scruffy but lovable Jack Russell terrier is scattering crumbs all over her borrowed car. Just when she thought things couldn't get worse, a troubling phone call about her grandmother sends her rushing home to the family inn on Wagtail Mountain. The streets of San Francisco would be lined with hardcovers if rare book expert Brooklyn Wainwright had her way. And her mentor wouldn't be lying in a pool of his own blood on the eve of a celebration for his latest book restoration. With his final breath he leaves Brooklyn a cryptic message, and gives her a priceless - and supposedly cursed - copy of Goethe's Faust for safekeeping. When the going gets tough, Ella Mae LaFaye bakes pies. So when she catches her husband cheating in New York, she heads back home to Havenwood, Georgia, where she can drown her sorrows in fresh fruit filling and flaky crust. But her pies aren't just delicious. They're having magical effects on the people who eat them, and the public is hungry for more. Discovering her hidden talent for enchantment, Ella Mae makes her own wish come true by opening the Charmed Pie Shoppe. But with her old nemesis, Loralyn Gaynor, making trouble and her old crush, Hugh Dylan, making nice, she has more than pie on her plate. 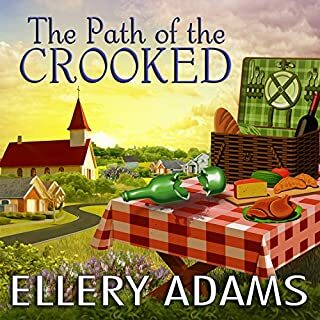 When Loralyn's fiancé is found dead - killed with Ella Mae's rolling pin - it'll take all her sweet magic to clear her name. Let me start by saying that this book isn't supernatural in nature at all. This isn't about witches or magic or anything dark. If anyone has seen the hallmark series "the good witch," it's similar in nature. There isn't any direct "magic" or anything but more of a tongue in cheek hint that the main character has some special talents. Don't be swayed away by thinking its a witchy or supernatural theme, because it's not. 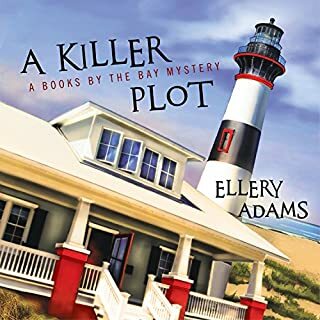 I love Ellery Adams as an author, and this is book is up there with her "books by the bay" series in terms of character development and plot development. The writing is so well done that you get teleported into this world with Ella May & her aunts. The narration was very engrossing & Cooney does a great job of pulling the listener in & pouring her heart into each character. I'm looking forward to continuing this series. I only have one complaint & its a frustrating thing about the narration that drove me a bit nuts. The main characters name is Ella-May, but the narrator often pronounced it as "allah-may" or some variation of that with a southern drawl. That in itself isn't a problem, it's the fact that one of the aunts are named Adalane, which was often pronounced "adah-lay." When the two of these characters were in one scene it's nearly impossible to tell who is talking as the narrator speaks quickly & sounds them out with a southern drawl and both their names come out sounding almost identical. Maybe it's just a pet peeve but I had to re listen to a few scenes to understand & it was really frustrating. I passed this series over many times and finally listened to book 1......I was surprised that I actually enjoyed it very much! Very enjoyable. A lot of information and detail without being cluttered. Very suspenseful and exciting. It's a shame when a good-enough book gets a bad narrator. 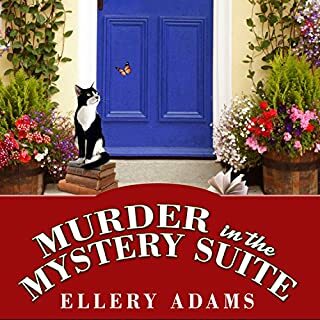 This book is a little overwritten with a sophomoric use of adjectives, but if you like magical mystery cozies, it's a fine read and a good start to a series. But the narrator gets in the way. It's clear that Cooney is unfamiliar with many of the words, and as a consequence she mispronounces them. Her accents are horrible, which is less her fault than it is the fault of the producer for hiring her. I finished the book but I won't be coming back to the series. It's the narrator who killed this series. Well, in my opinion, leaving New York for Georgia, is a no brainer, cheating husband or no. And it seems to be working out well for Ella Mae LaFaye. Taking with her all that she learned in culinary school, returning home to her lovely aunts and her mother, the closeness of small town Havenwood soon wrapped itself snuggly around her. A magical little place, except for that pesky as a hornet, Loralyn Gaynor, who seemed to show up at every turn. Haunting her since high school, when she had stolen her beau, Hugh Dylan, Loralyn was a multiple divorcee, now engaged to the local elderly equine veterinarian. Loralyn’s finance has promised to buy her a newly listed property as a wedding gift. Loralyn wants to open ANOTHER nail salon. Problem is, it’s the SAME location the aunts have in mind for Ella Mae’s new pie shop. The bids go in, and the aunts work their magic. But not long afterward, the veterinarian is found dead, murdered with Ella Mae’s rolling pin. I love the young couple who show up with the alibi for Ella Mae, more sweet magic from her mother’s garden. There’s just enough fairy tale in the story spark your imagination. The aunts and Ella Mae’s mom are the matriarchs of the town and Ella Mae’s coming back home is the icing on the cake . . . or the crust on the pie. The search of the killer is good . . . it wasn’t who I expected. 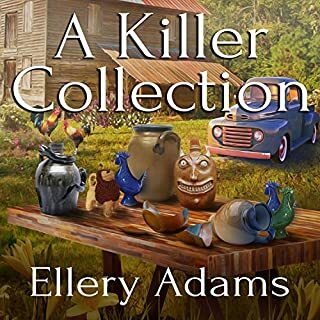 I can’t wait to see what Ella Mae cooks up in the next book! Such a fun audio book. I loved the well put together characters and how unique they were. The story was light hearted and kept me entertained during my commute. Less Description & More Mystery Please! 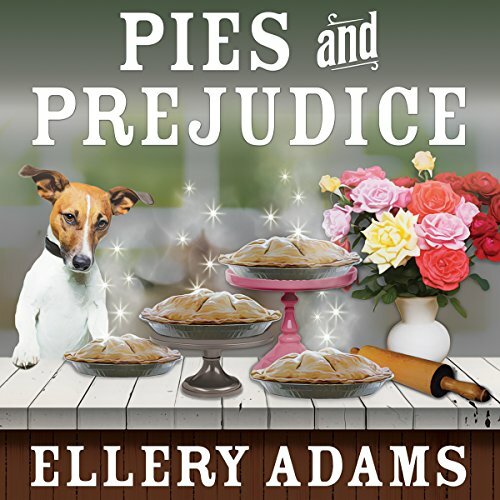 What disappointed you about Pies and Prejudice? One reason for purchasing this book was the setting, because it was in Georgia, my home state. Unfortunately, after reading this book I felt like it could have been small town anywhere, but not in a good way, it was lacking the southern charm I get from most books I read based in the south. I almost feel like the author has never been to a great southern town in Georgia like Savannah. 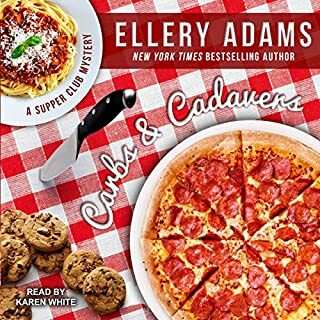 I can get over the lack of southern likeness, but what I can't get over is the main character of the book, Ella Mae, she spent way too much time in her head whining and describing desserts. I wanted less pie combinations and more character development, and most of all more mystery. 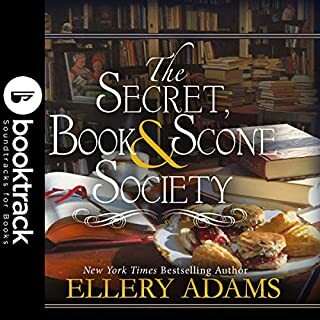 Would you ever listen to anything by Ellery Adams again? Yes, I finished the book and didn't completly hate it, so I bought the second book in this series. Maybe book two will surprise me! I felt like the narrator's voice was a bit monotone, they need to be more expressive with their voice. I liked the idea of this book the most. This book had potential to be great & I enjoyed some of the colorful characters. I like happy endings, but it was a bit too cheesy for me. The end! Enjoyed, but may listen to one more before committing to series. Narrator sounds like she's a throwback to the days of "Hair."